My Wicked Problem Project (WPP) did go according to plan. I had some minor setbacks, but overall my goal was met. I was looking for a way for students to save their work without having any type of u:/ drive or reliable place to save. 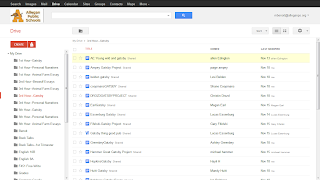 I started with Google Docs, which my students were hesitant to use at first, but eventually got used to. After they figured out how to create a Gmail, log-in, share documents, and type on a word-processor with limited features, they were able to use it fairly well. 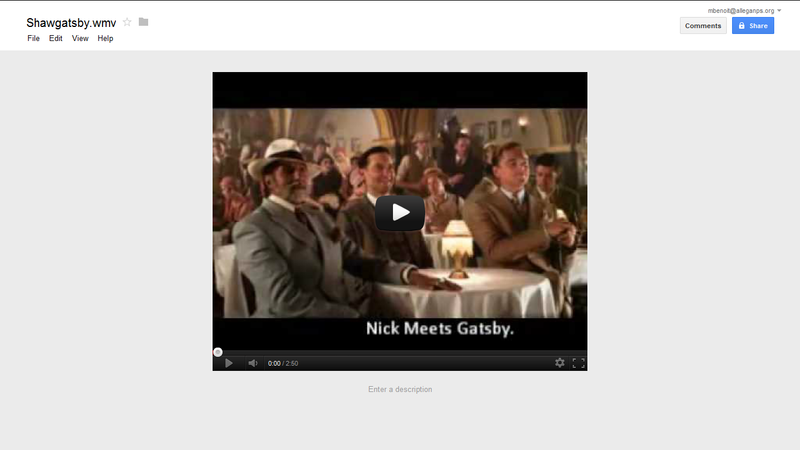 After we worked with Google Docs, I implemented The Great Gatsby portion of my WPP. 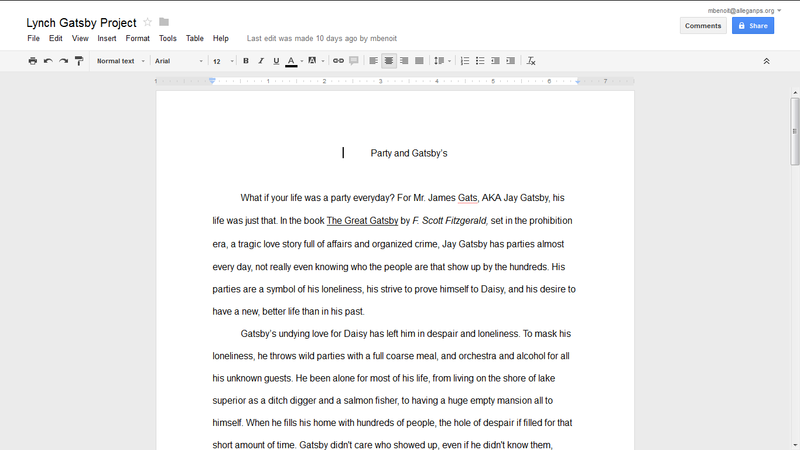 The assignment was given after students finished reading the novel. The project allowed them to write a formal essay, write a creative essay, make a scrapbook, create a newspaper, write and record a song, or make a comic. 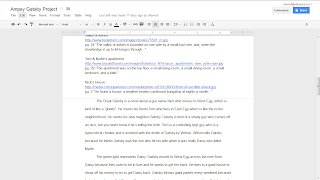 All the pieces include a writing portions done on a Google Docs. In addition to a writing portion, some had a creative add one. The scrapbook could be done digitally on Mixbook, the newspaper on Publisher (uploaded to Google Drive), the song on Audacity, and the comic on MovieMaker or Animoto. Almost all the projects were tried out by multiple students. The favorite was Mixbook because it was fairly easy to work with, but looked very polished when finished. 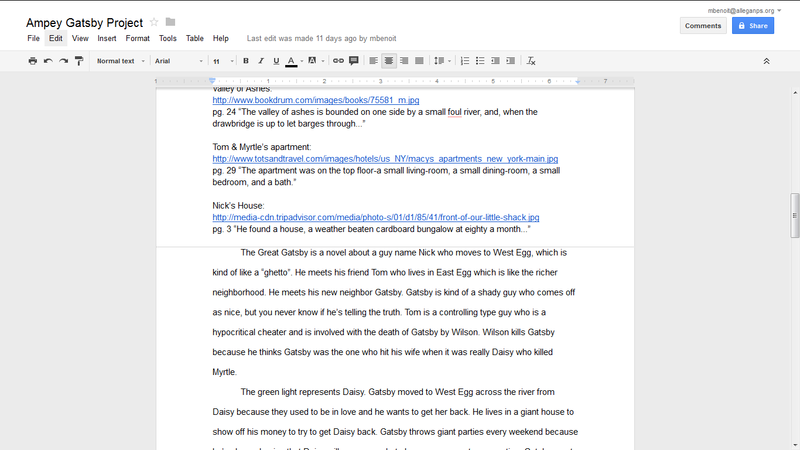 Since the projects were all typed on Google Docs, it solved my problem of having no where to save. By using online tools for the creative component, I didn't have to worry about a place to save all the projects. 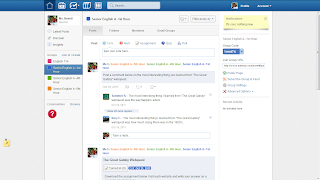 Using Edmodo was also a success because it provided a place to communicate not only with me and the students, but between students. There were some technological issues, like Internet Explorer not working correctly and the correct version of Flash not being installed, which both prevented Google Docs from opening. However, after we worked through this issues like having an IT person update Flash on all the computers and install Google Chrome, the process worked fairly well. I had to be flexible as all these issues came up and also more laid back about the due date, so students had time to work. As the project wrapped up, I felt it had gone well for the first time. Students needed a place to save their work without a hard drive. The options I presented seemed to be viable and provide students with realistic options. I feel students were more apt to embrace the project because it felt authentic. I had all but three students complete one (three students who were already not passing the class). The rest of the students seemed invested and proud of their final project. During work time, they were for the most part productive. 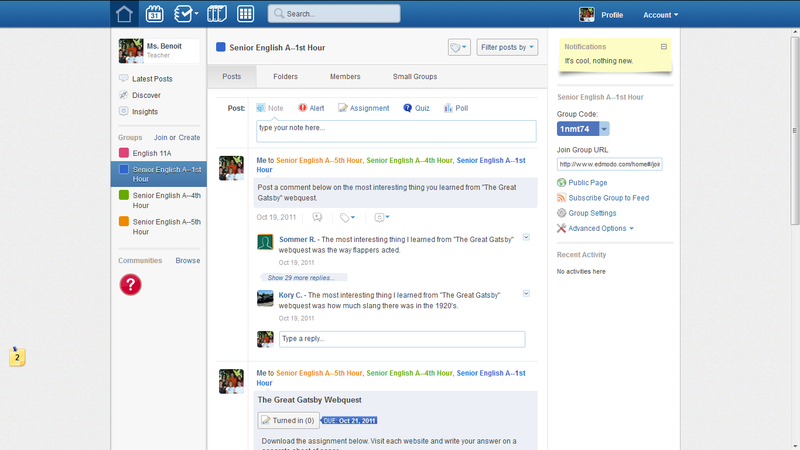 They embraced the Edmodo element, which helped deal with any technological problems and allowed them to collaborate. I gave a student survey at the end to find out how they felt about the technology component. The idea of having no u:/ drive was new to them and I wanted some feedback about the new technology usage. It felt like it worked well, but I could only really know if I heard it from them. I surveyed thirty students about the technology in Senior English A. 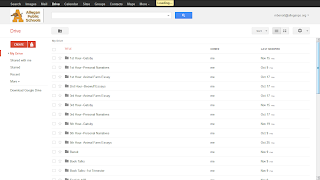 According to the survey, 93% of students said Google Docs was easy to set up and use. Twenty-five out of thirty students or 83% said the process of using their online technology (in all cases) was successful. When asked if they would use Google Docs and their online technology again, 90% of the students said they would. When I asked students if they would like to see the technology again in other projects, I got positive answers. Ashley from my third hour said, "Yes, I would like to see more of it in class." Emily from my first hour also felt strongly with and stated, "Yes, it was fun!" Rose felt it was beneficial for future technology interactions, "I enjoyed it. We get to use real tools that we might have to use in college and how classes could be similar to that." And Lucas felt it allowed more room for choices, "Yes, because it gives people with different strengths the option to do what they like or are interested in." This feedback gave me concrete evidence that the process worked well. Not only did students find it effective, but it met my project goal of having students complete a project without a u:/ drive. Almost every students completed the project. I'm already thinking about ways I can use this type of project with my Senior English B class (the second half of Senior English). I will definitely use some of the same tools for future projects. Students have a research project next trimester and they will have to pick a world or social issue and present it to the class. Having an online tool will make it easy for students to access the tools from anywhere. For this project, I'll offer other options like Prezi, so students have a presentation option added in. 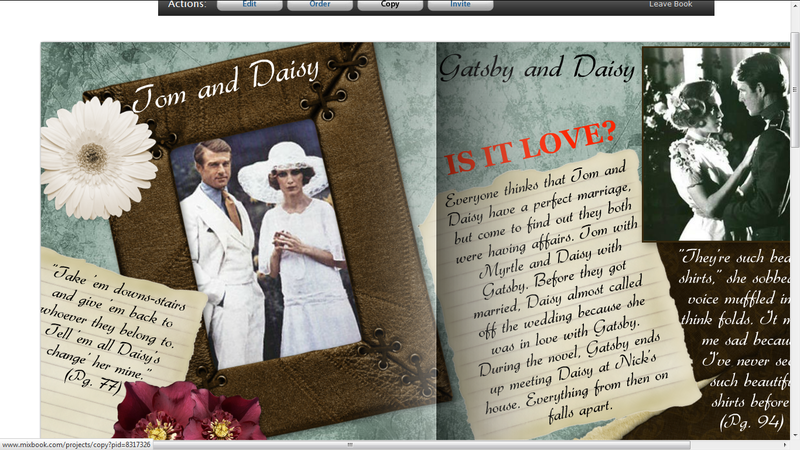 I think I could take the project even further with these students because they've used some of the technology before. 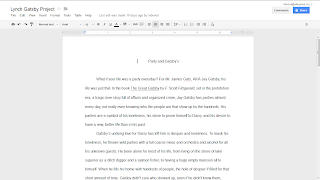 They've dealt with working through the process and using Google Docs to do their write ups. Another approach I would do differently is organizing my files from the beginning of the process. Trying to keep track of so many files became overwhelming and hard to manage. 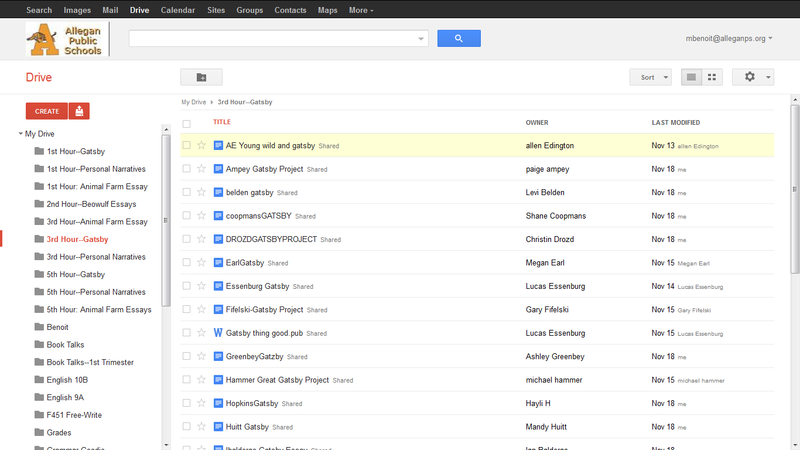 I quickly learned that putting each class into its own folder by topic made it easier to monitor and grade. I learned it was important to organize my files into folders. One of the biggest lessons I learned was that it's okay for students to know more about the technology than you. Also, that it's good for them to see the teacher working through the process of using technology. I had so many students not want to try a new tool because they didn't know how to use it. As I struggled with setting up Edmodo and working through some of the online tools, they started to realize that it is possible to figure it out. It may be time consuming and sometimes frustrating, but they were very proud when they did accomplish it. I had to learn to let them be frustrated sometimes and work through the process or have another student show them how to do it. I didn't always have the answers and that was okay. The next biggest lesson I learned was that technology fails and it fails when you need it to work the most. Several days in the lab computers wouldn't open Google Docs or wouldn't load pictures on Mixbook. Students would be frustrated and also would be sitting around with nothing to do. I needed to be flexible and patient and remember it wasn't their fault that we had the wrong version of Flash. Finally, it was important to have somewhere to go to like Edmodo, so students felt supported when working on their project. It gave them a space to ask questions, get feedback, and help others. They felt like their skills were being validated and that they weren't an island trying to complete this project. I just had to be careful to monitor it, so students were only using it for class related topics. 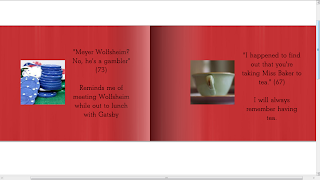 I will definitely do this project again with my Senior English A students during second trimester. Especially since students will still need to save things to the cloud, this type of project will be key. I will continue to offer creative elements that students can do by hand (like having the scrapbook available on Mixbook or a hard copy). I don't want to punish students for not being tech-savvy, but I do want to push them to challenge themselves and try new things. I gave a survey asking students if I should do this type of project again and out of thirty students, twenty-eight said yes. Only two said "they don't care" or "it depends", so I didn't even get any actual "No's". With 93% of the students saying it would be worth doing again, it sounds like they enjoyed it. Five out of the twenty-five students said they felt Google Docs and the project was fairly easy to use and logical choice for not having a u:/ drive. Even after all the work of doing the project and completing the class without a u:/ drive, 83% of students felt the project was beneficial. I am glad I met my students where they were at, helped them effectively complete assignments; all while accomplishing my goal of finding a way for them to successfully save their work.